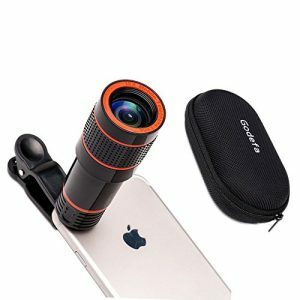 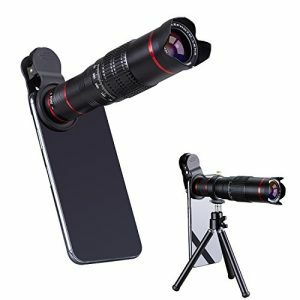 The 18X telephoto zoom camera lens bring far away subjects closer, used to photograph subjects you can’t get close to, make your phone produces close-ups and long range shots without compromising image quality, take picture that your phone currently can’t. 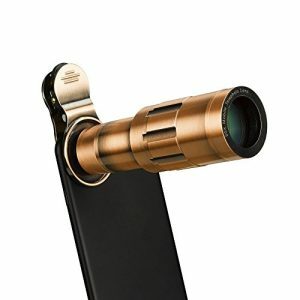 cell phone zoom lens change the way you take pictures. 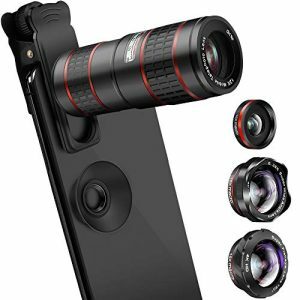 The phone zoom function merely enlarges the image and crops out the edges, resulting in reduced image resolution. 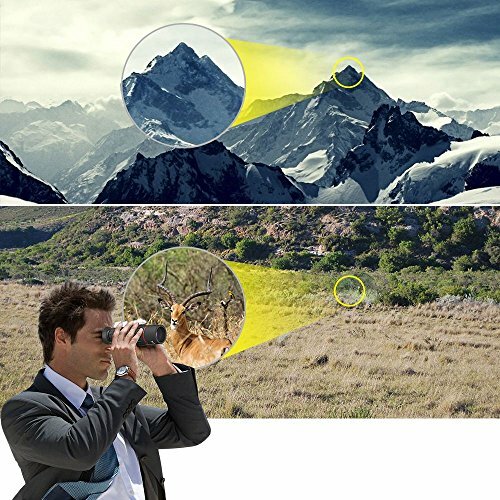 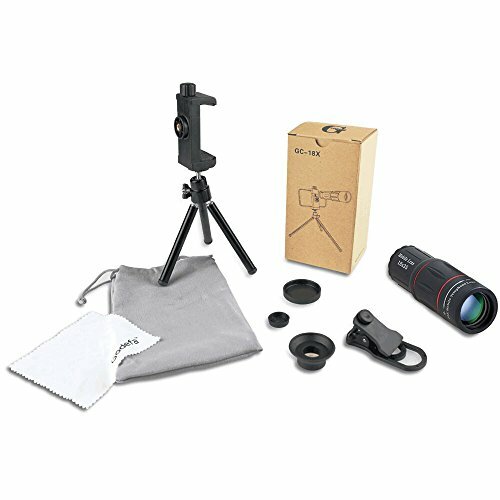 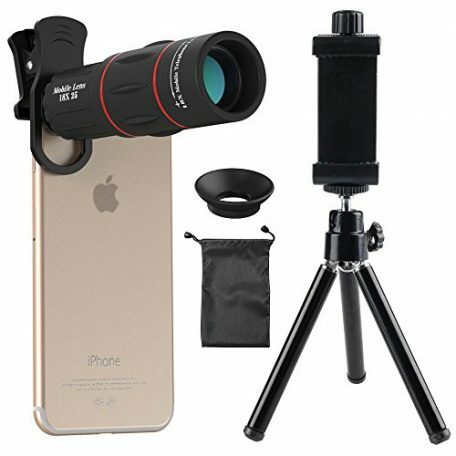 The camera lens act like a phone telescope to help you take photos of scenery far away without compromising image quality, it has a good zoom and focus, so you have good control over your photo, the view can be very clear by turning the focus. 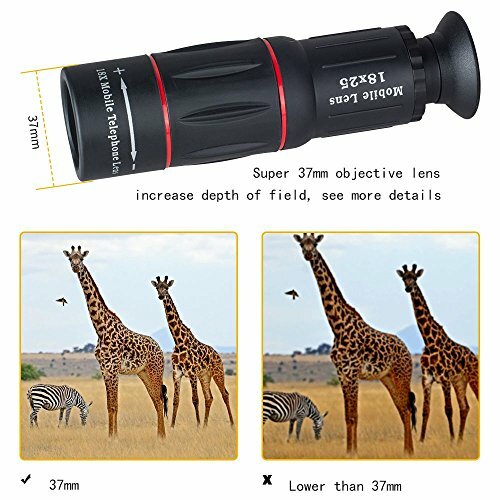 It is especially convenient when take this 18X zoom lens to place like zoo, concert or watch the game, the view is too far away and you can not even see clearly from the distance. 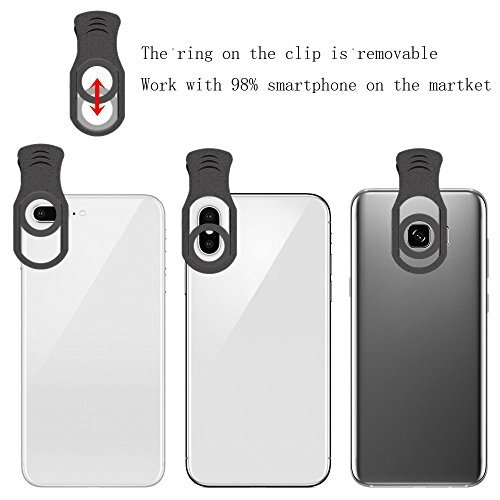 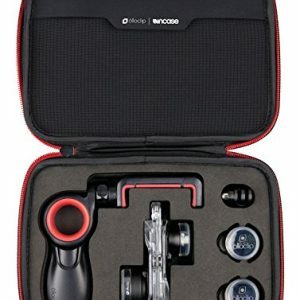 Simply clip the phone lens on your phone camera and it gives long vison, excellent color reproduction close-up pictures. 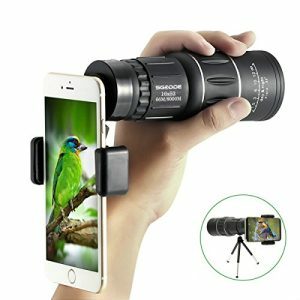 Note: If the cell phone zoom lens doesn’t align with your phone camera, you will get dark circles around the screen, please align first. 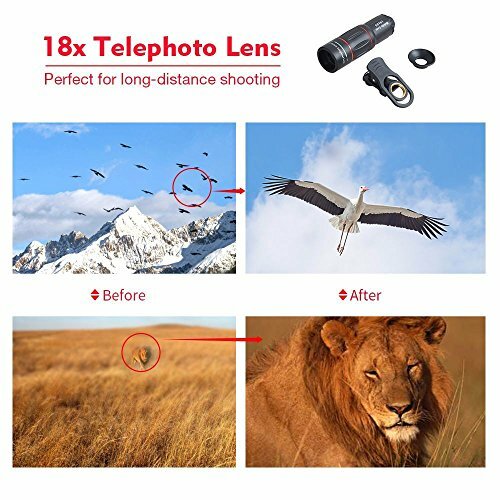 For the blurry picture, you need to adjust the ring on the lens to make sure you get best effect. 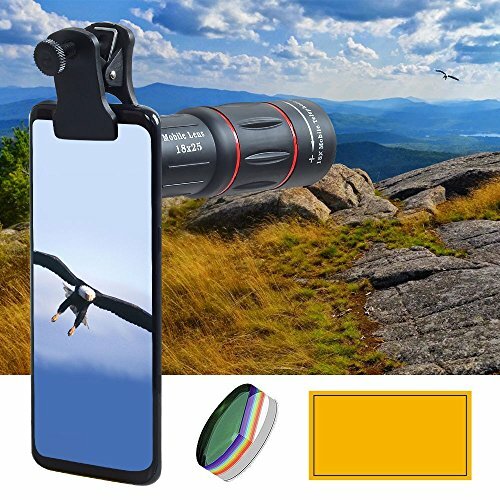 Wide Range of Compatible Devices, Portable, removable and solid clip-on design that attaches to almost all smartphones including iPhone 8 iPhone 7, iPhone 6S, 6S Plus, iPhone 6, 6 Plus, iPhone 5S, SE, Samsung Galaxy S6, S6 Edge, S7, S7 Edge, HTC, Sony, LG G6, G5 and more. 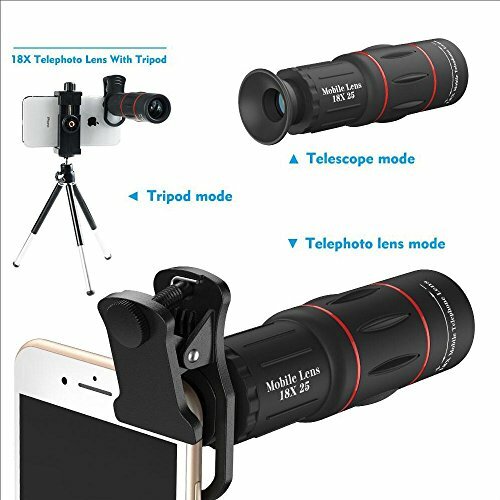 The telephoto lens has a minimum focus distance of 10ft, it can’t focus the objects close up. 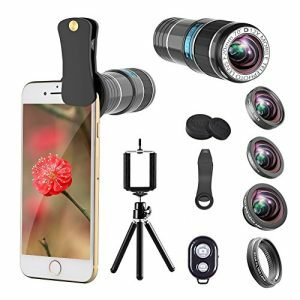 All of our product pass careful inspection and strict quality checks so that all users are able to capture the most impressive moment.